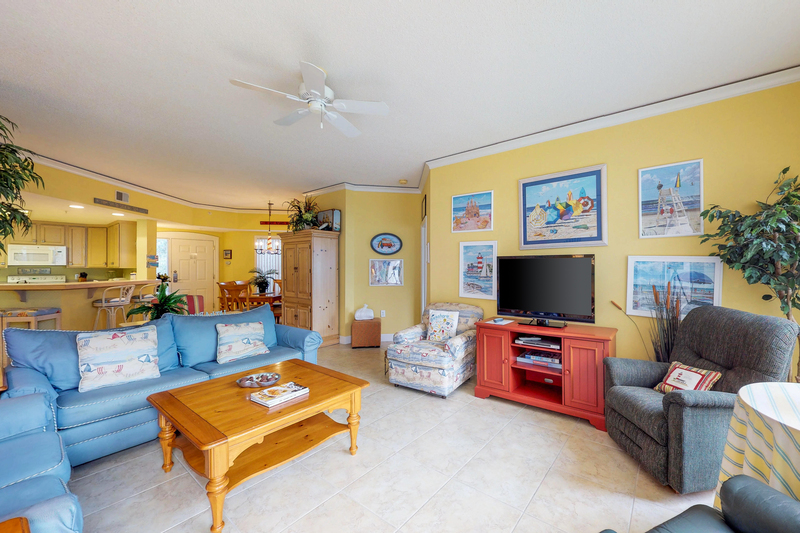 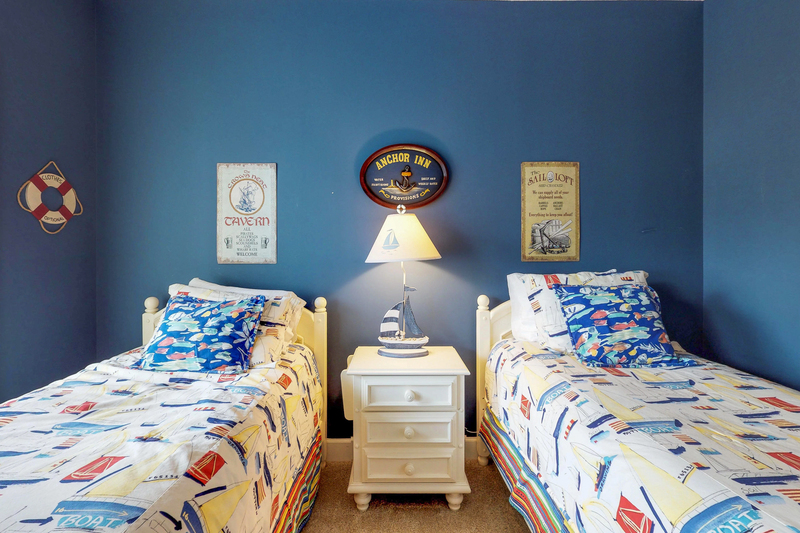 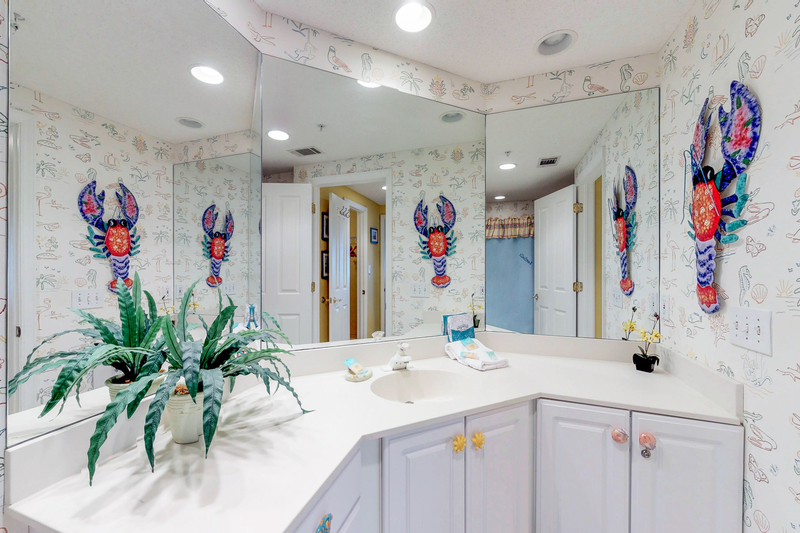 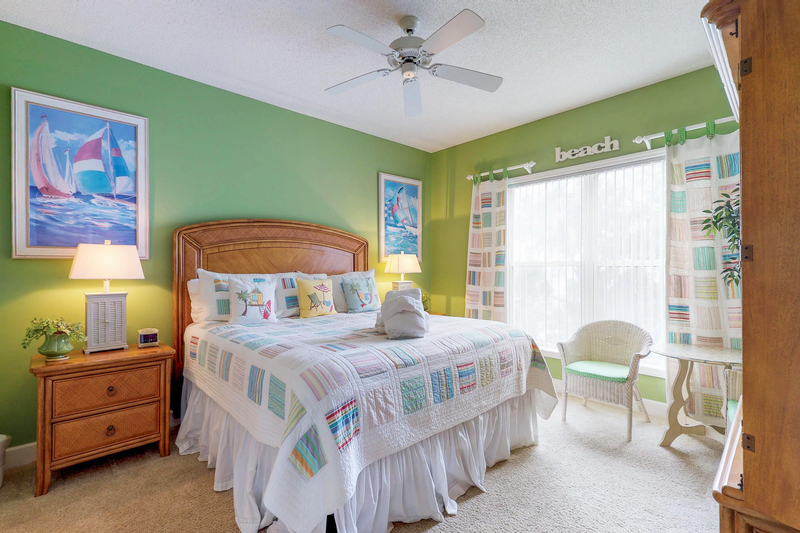 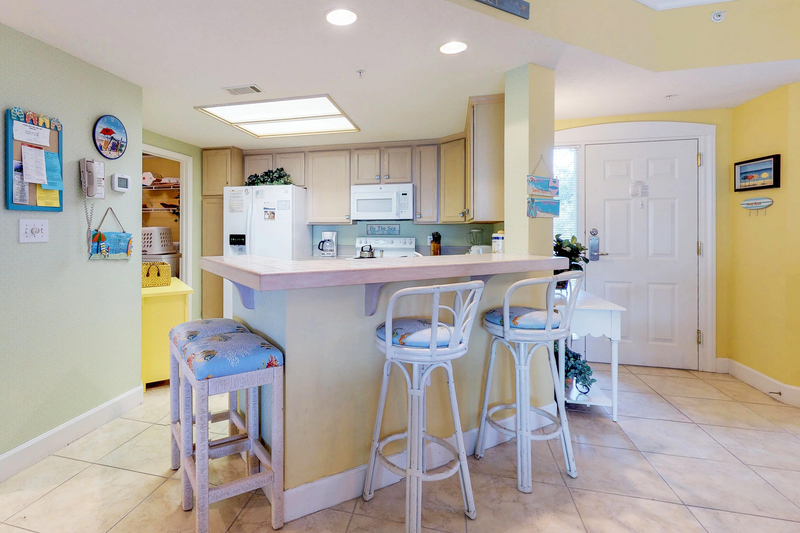 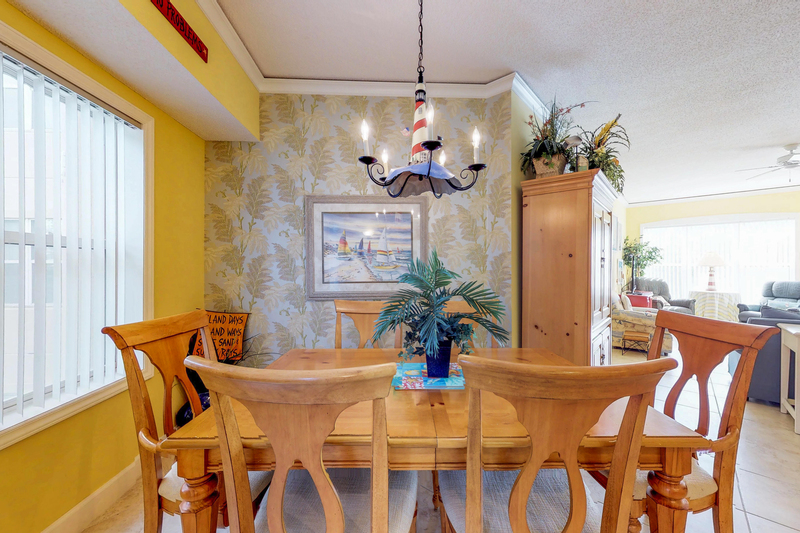 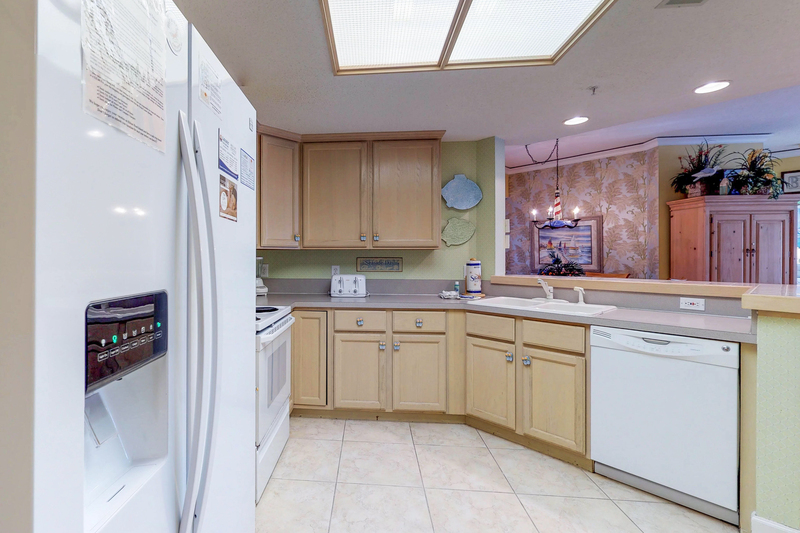 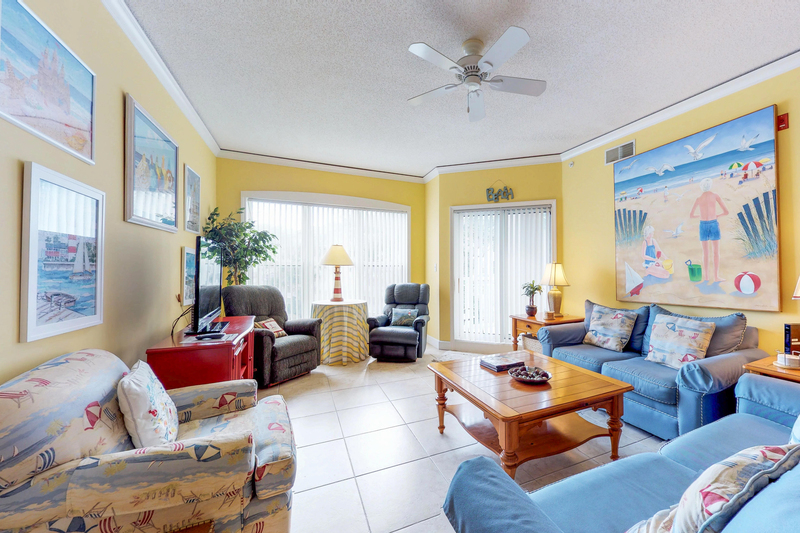 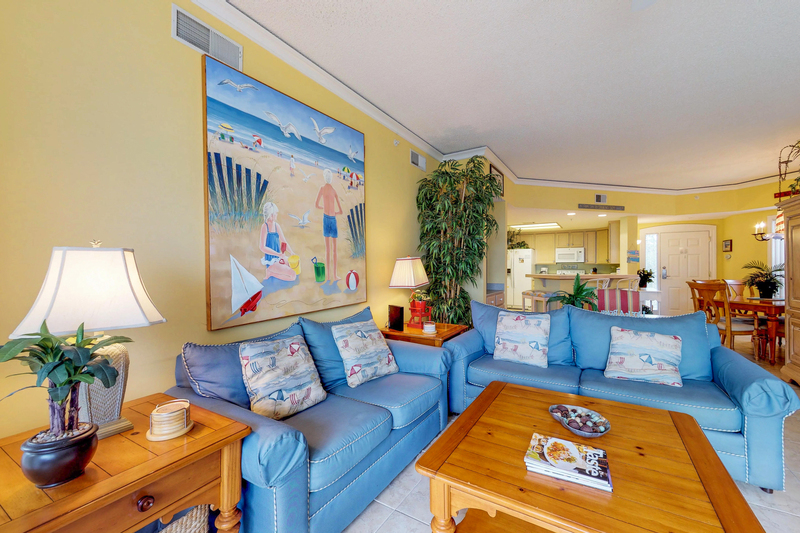 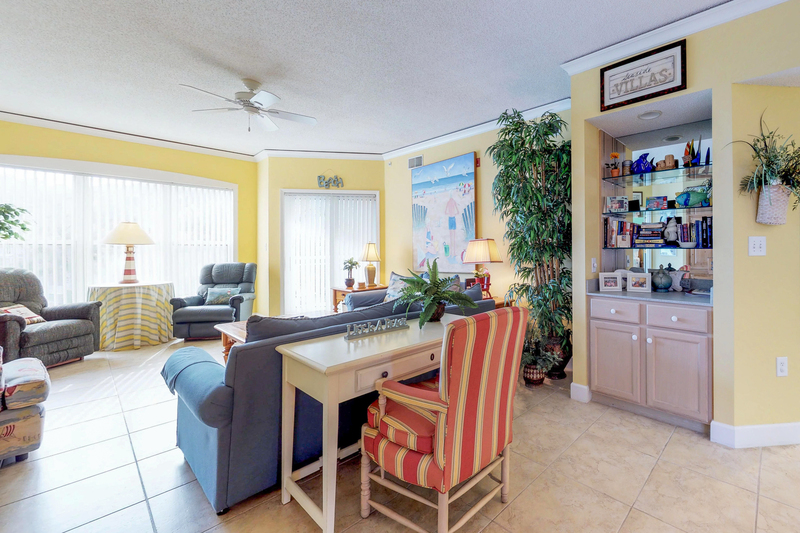 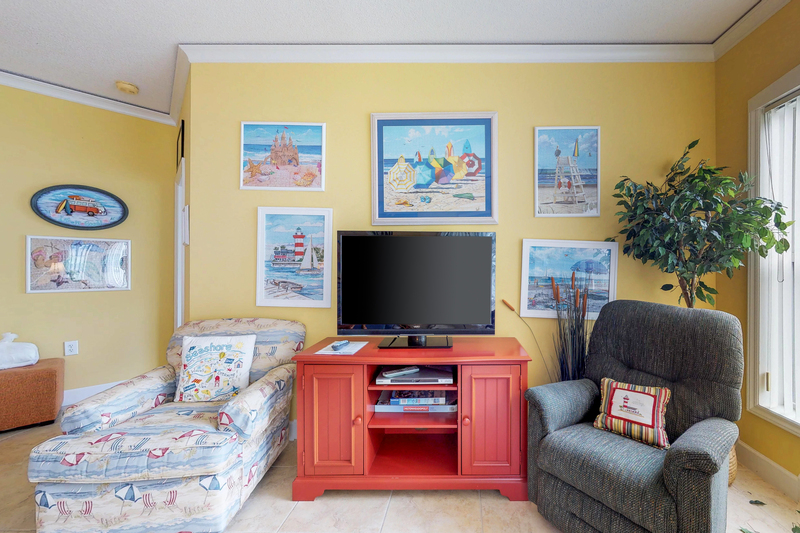 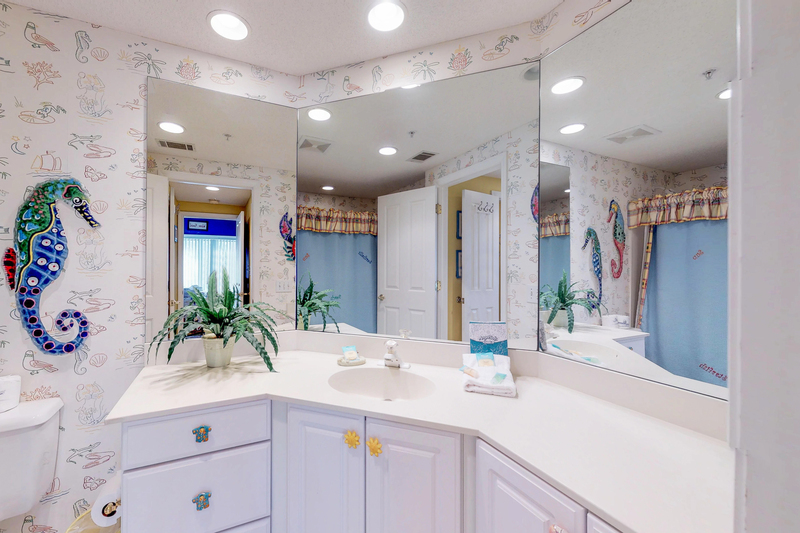 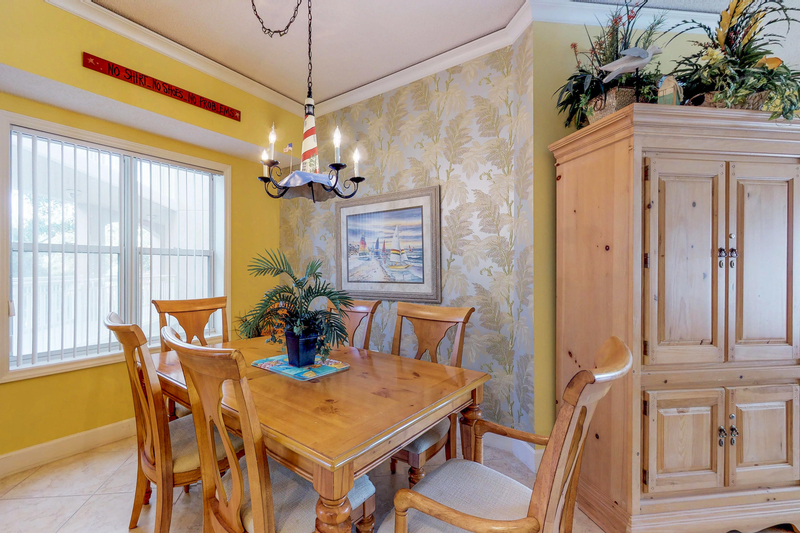 This third floor Hampton villa is brightly decorated and perfect for the beach vacationer. 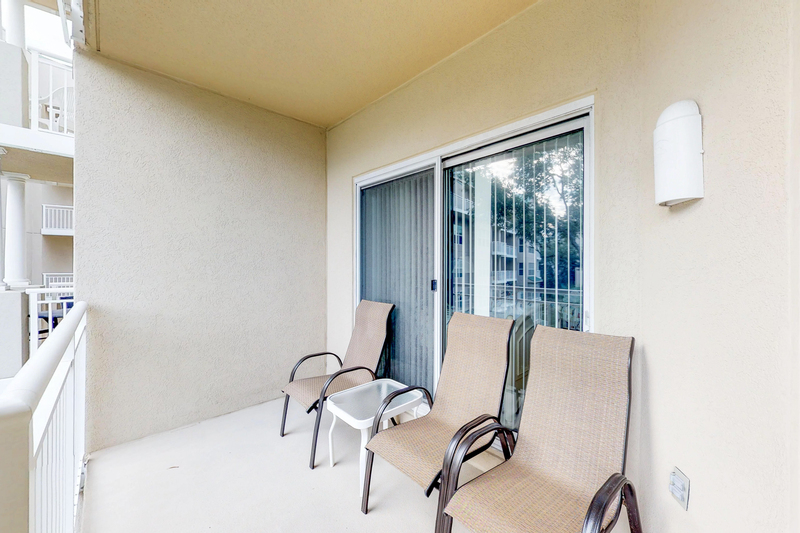 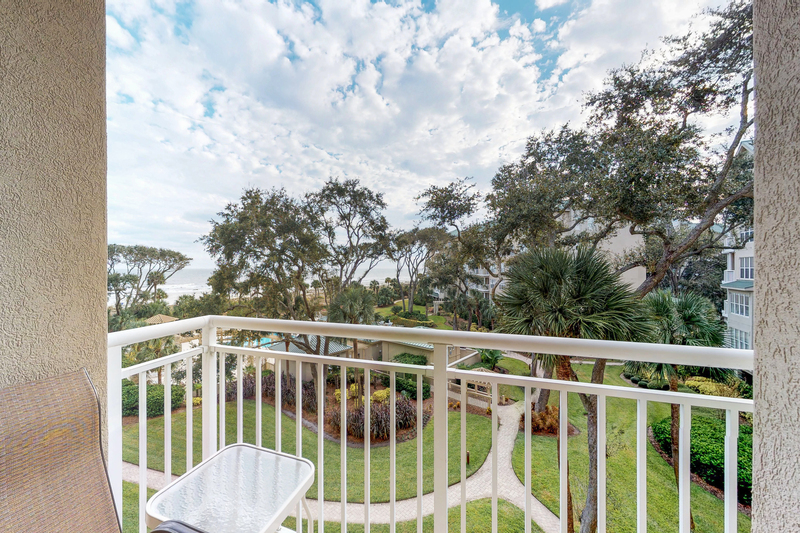 The balcony is accessible from the living room and guest bedroom and offers a view of the Atlantic Ocean and pool. 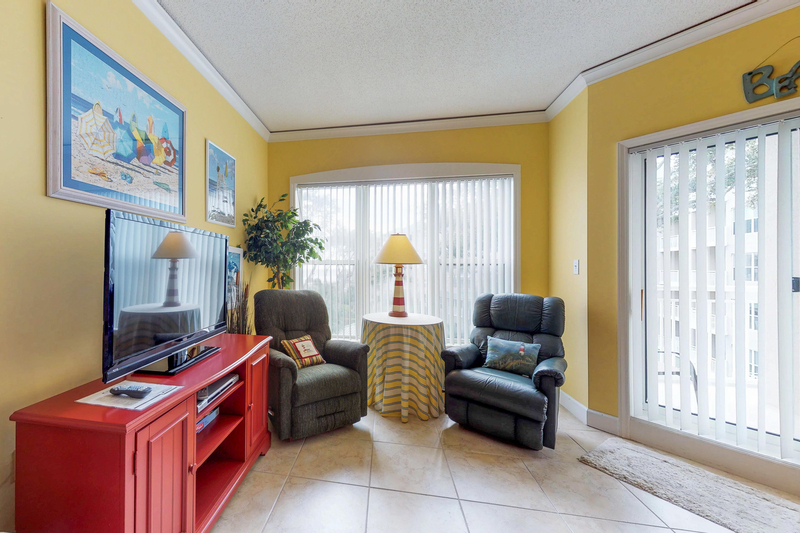 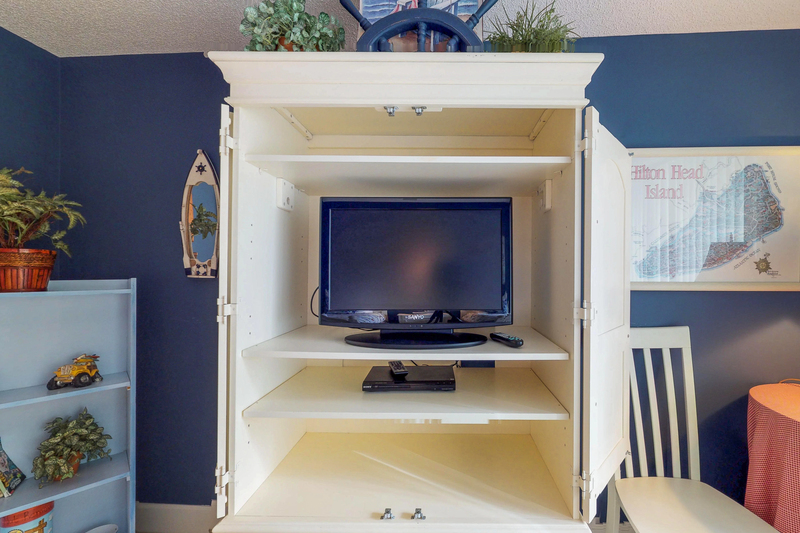 The living room is furnished with a 42" flat screen TV with DVD, tile floors, wet bar, and a sleeper sofa for additional accommodations. 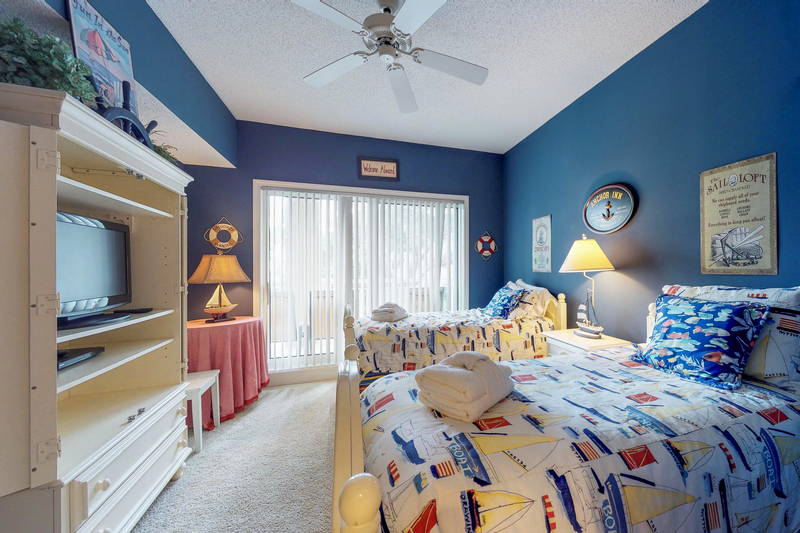 The master bedroom features a king bed, 26" flat screen TV, DVD player and private bath with garden Jacuzzi tub and separate step-in shower. 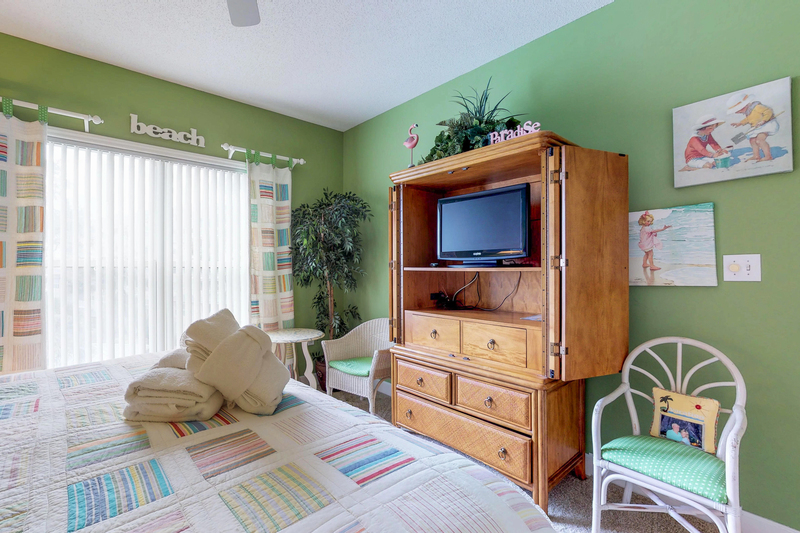 The guest bedroom has two twin beds, 26" flat screen TV, DVD player and sliding doors to the balcony. 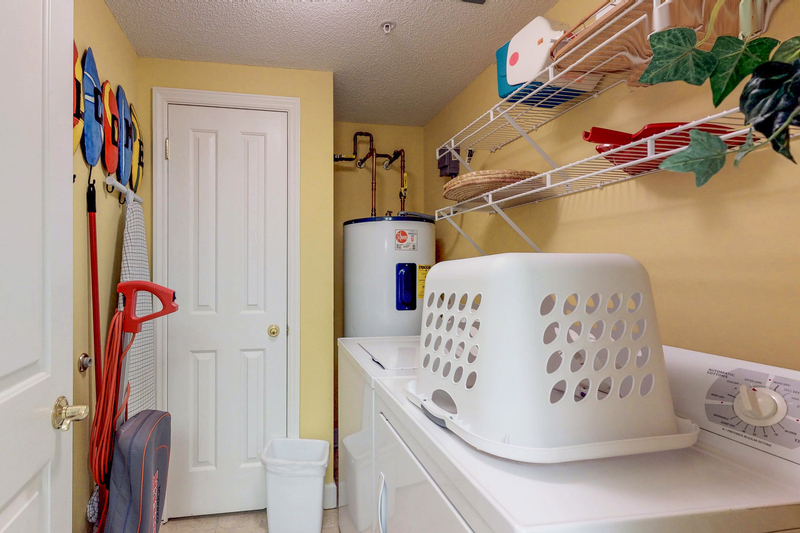 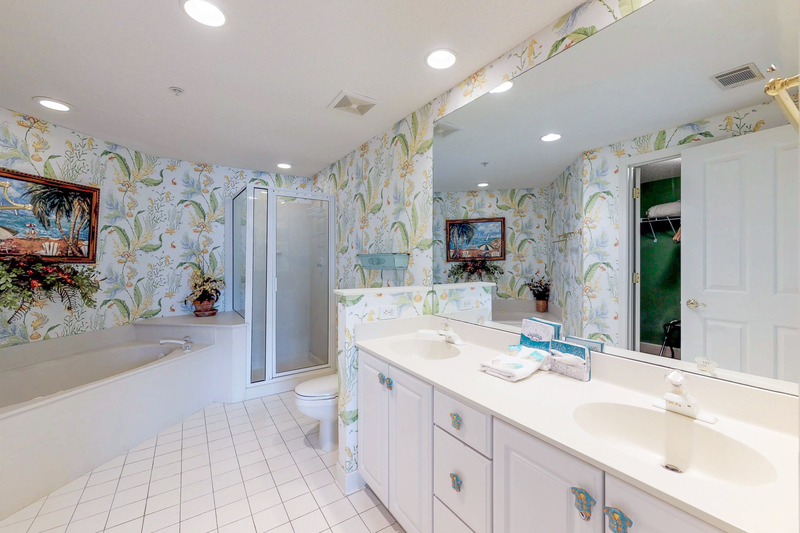 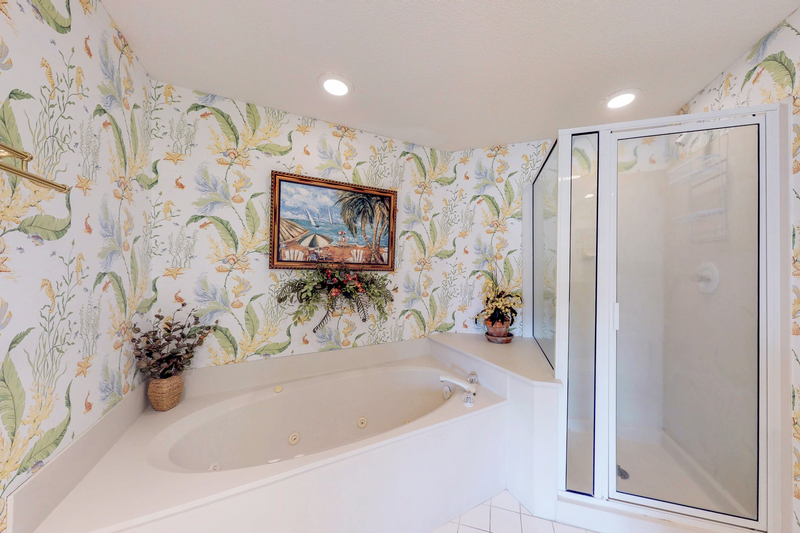 The bathroom is accessed from the bedroom or hall and has a Jacuzzi tub/shower combination. 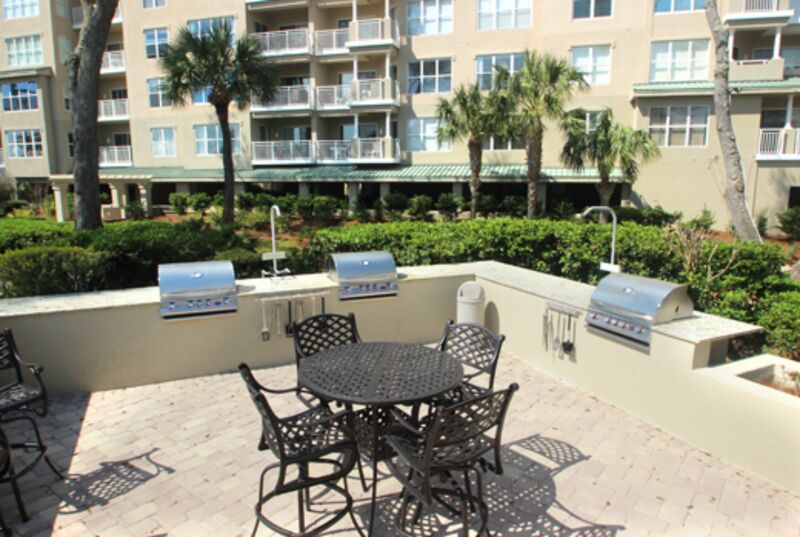 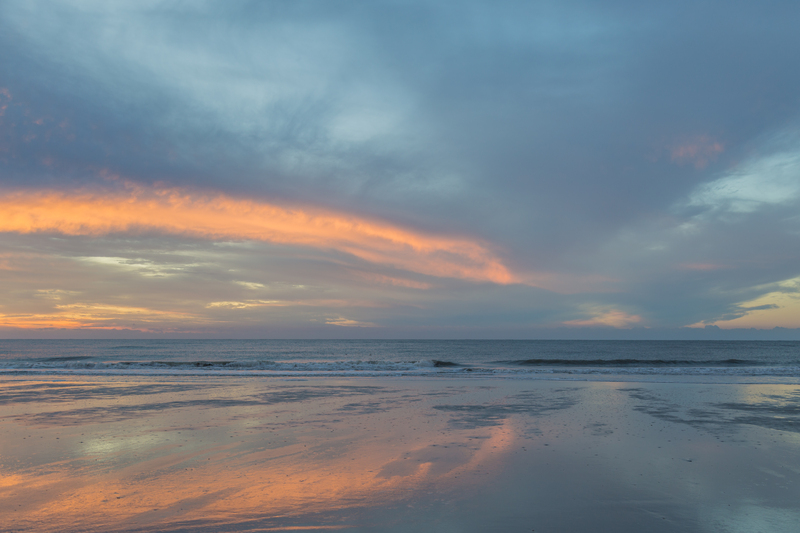 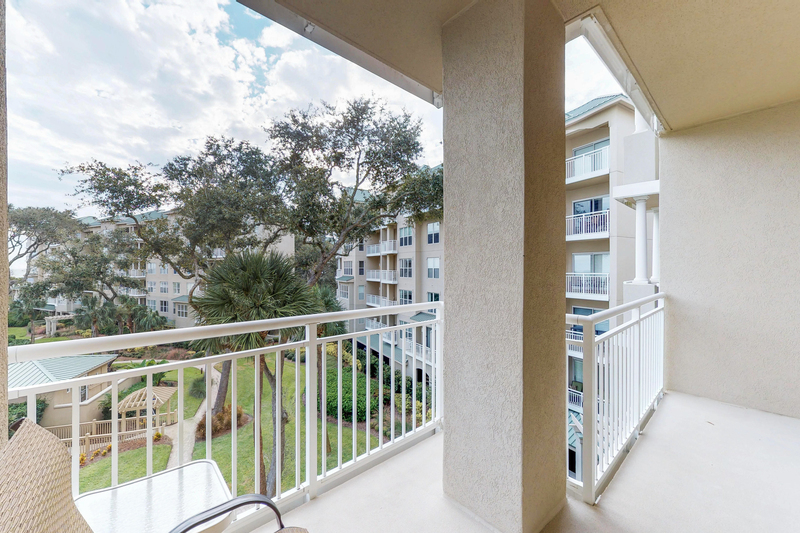 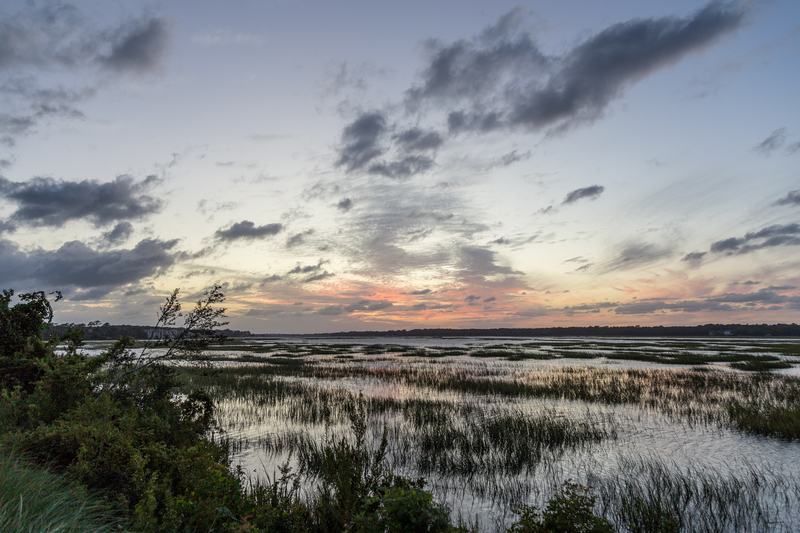 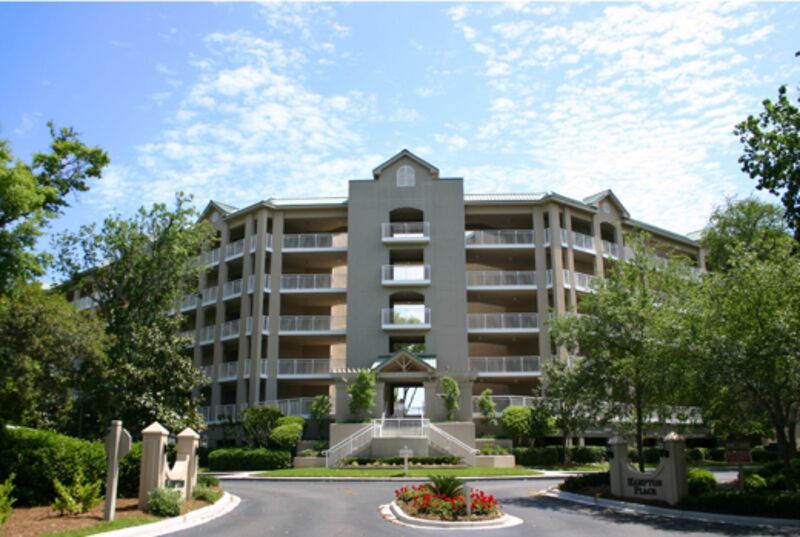 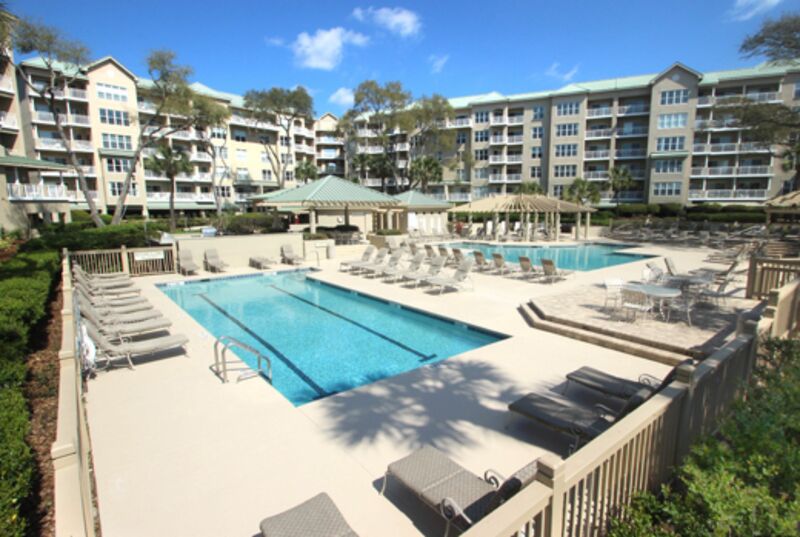 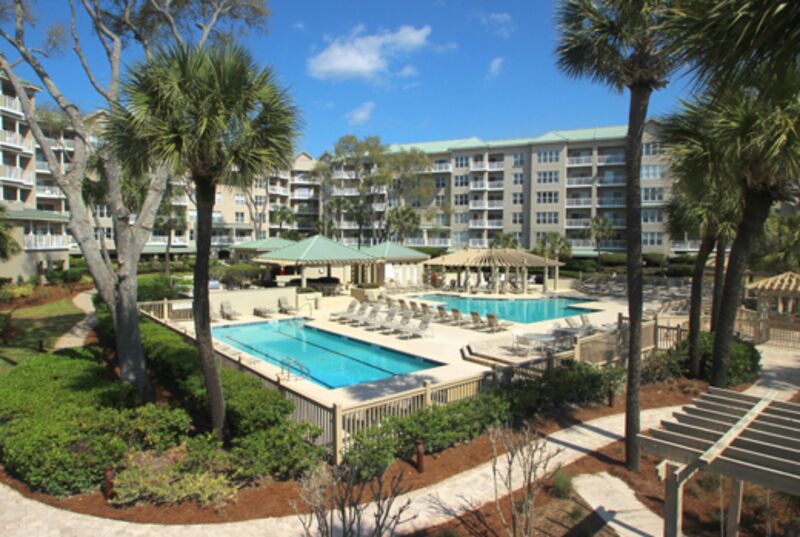 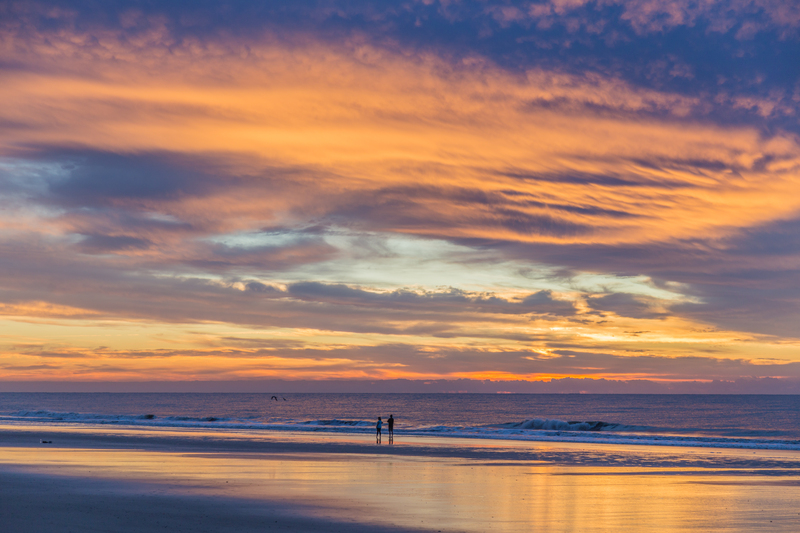 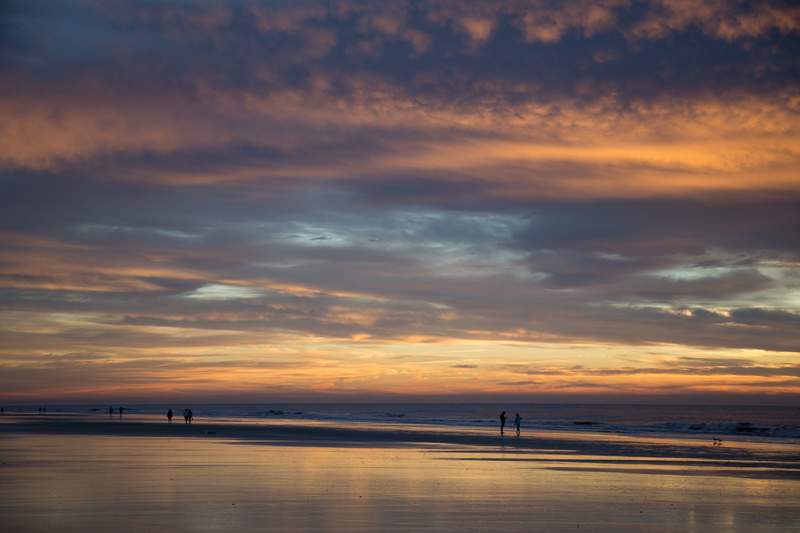 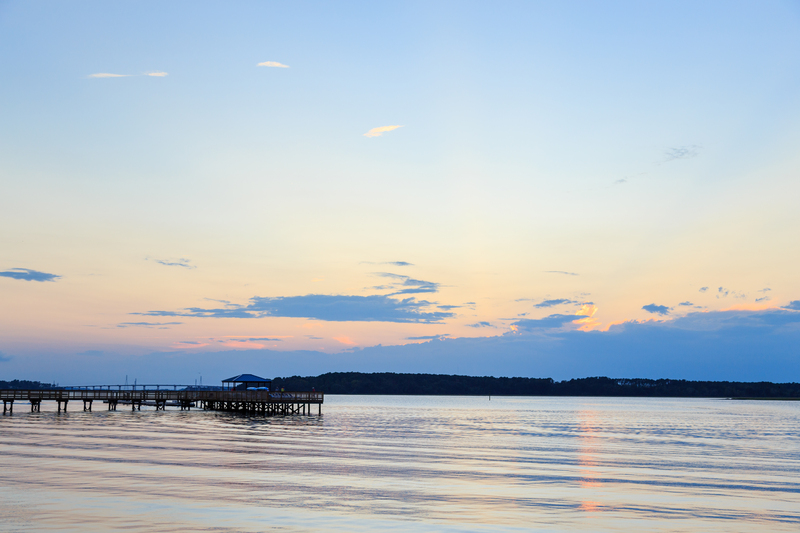 Hampton Place is an oceanfront villa complex in the Palmetto Dunes Resort. 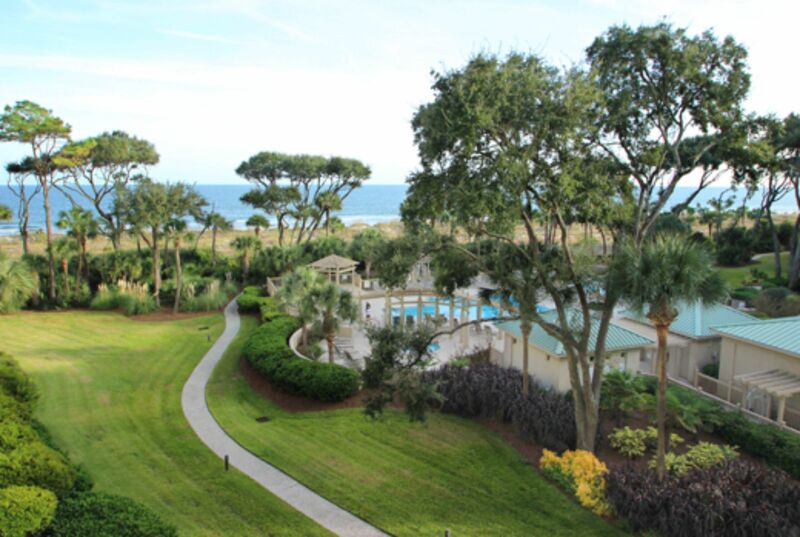 Beautifully landscaped grounds with walkways leading to old-fashioned swings and a private beach access surround the large oceanfront pool complex. 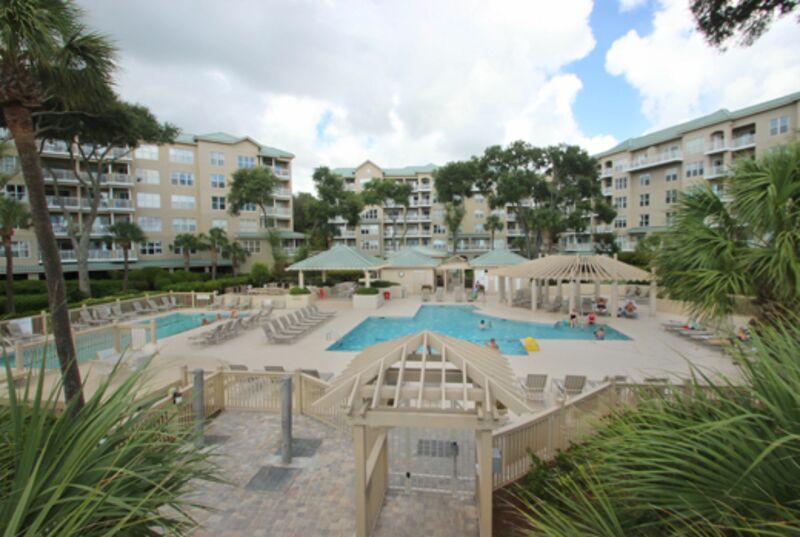 This features two large pools, a children?s pool, hot tub, extensive sun deck, covered gazebo and picnic tables with adjacent outdoor grills. 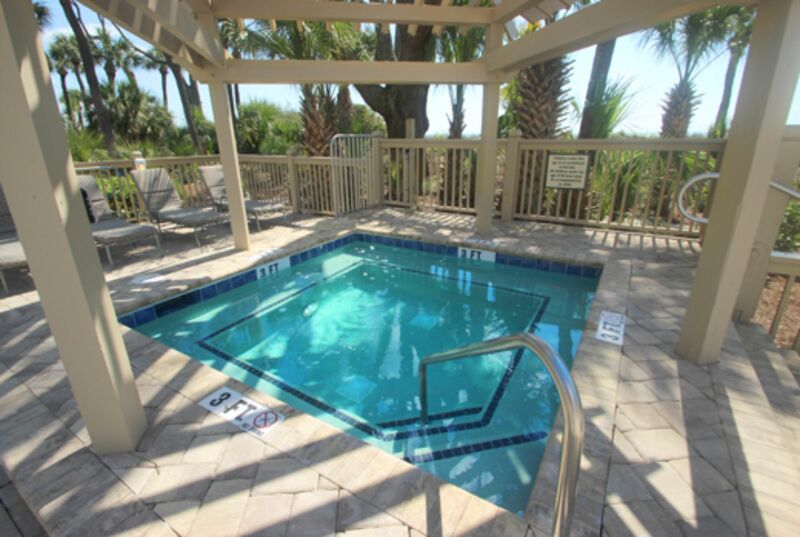 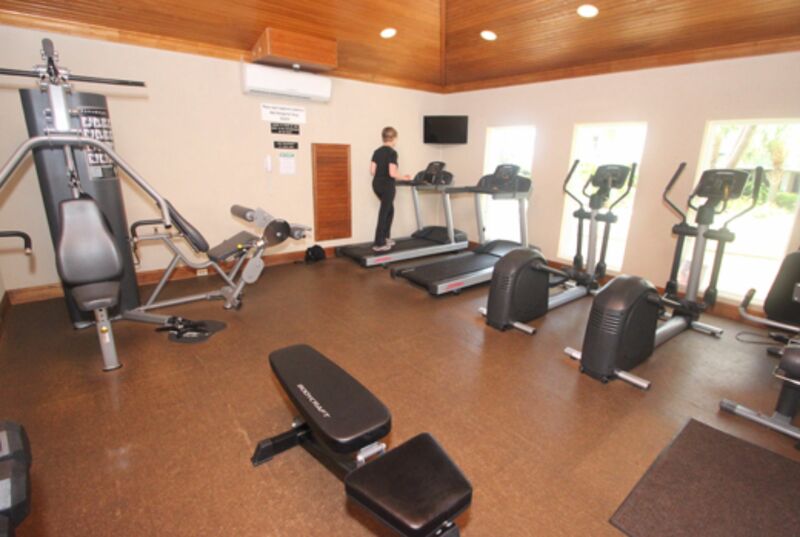 Bathrooms and showers to rinse off from the beach, as well as a workout facility are also available. 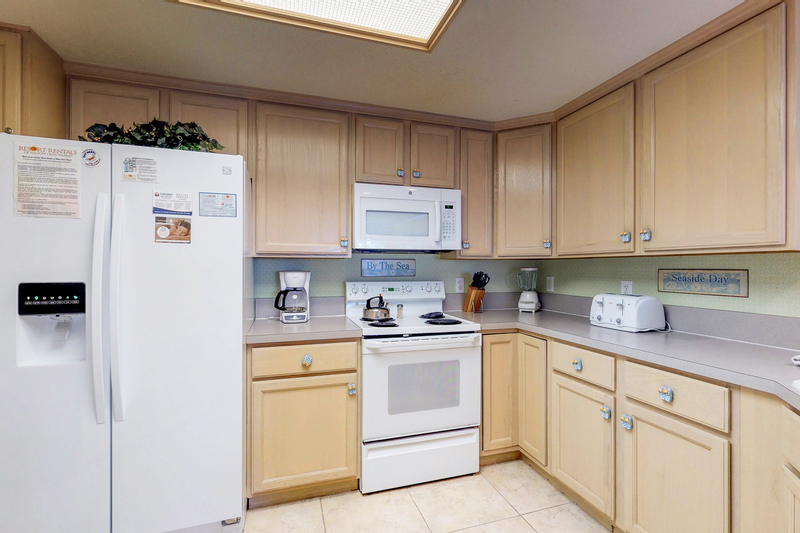 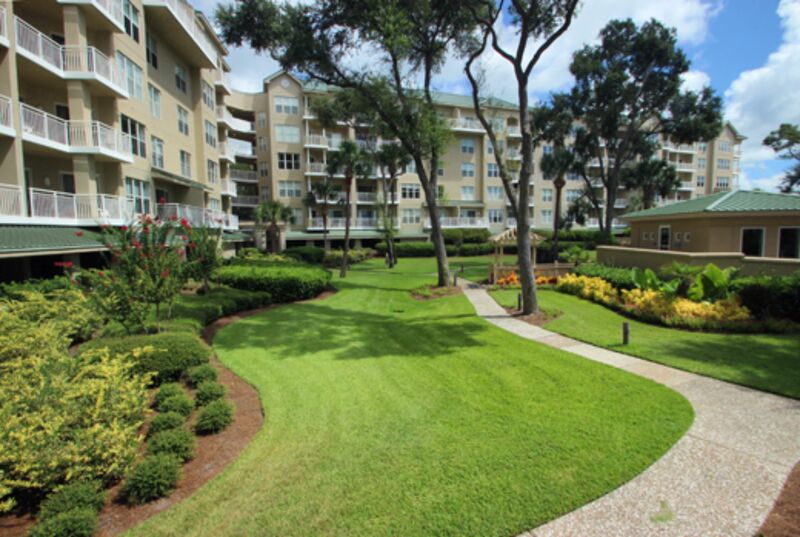 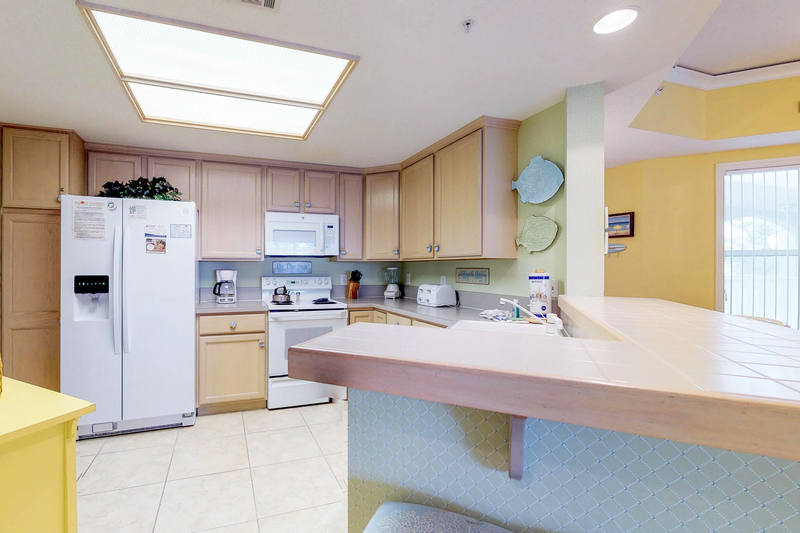 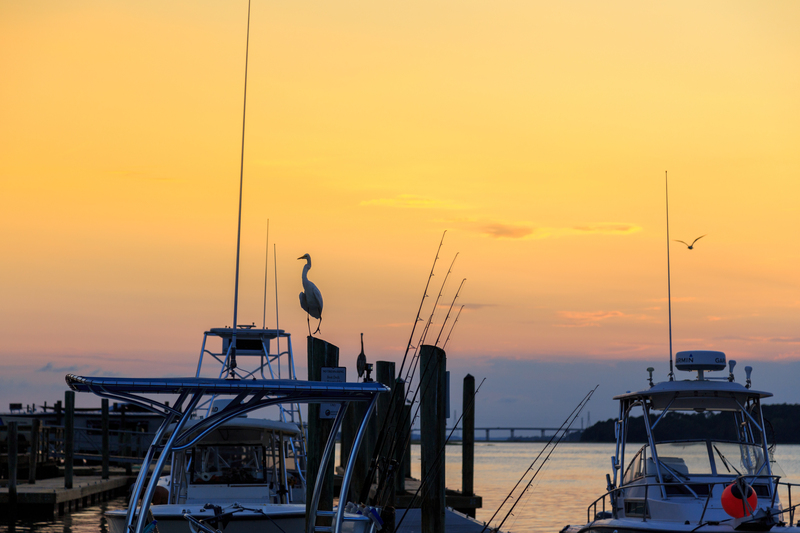 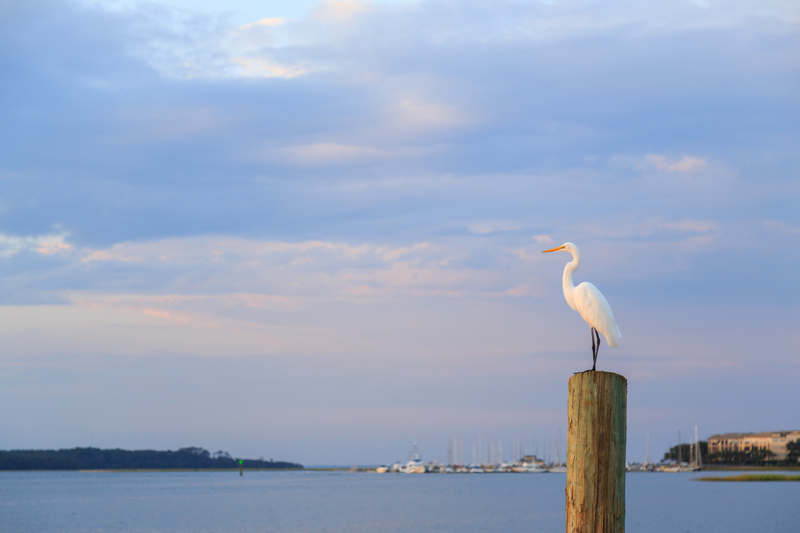 The complex is conveniently located next to the Omni Oceanfront Hotel which has specialty shops and restaurants.